The kids aren't usually dressed up very often so I try and take every opportunity to get a photo of them together in their Sunday best. This year was even more of a challenge, since Harper refuses to wear dresses. She has a little streak of tomboy in her. 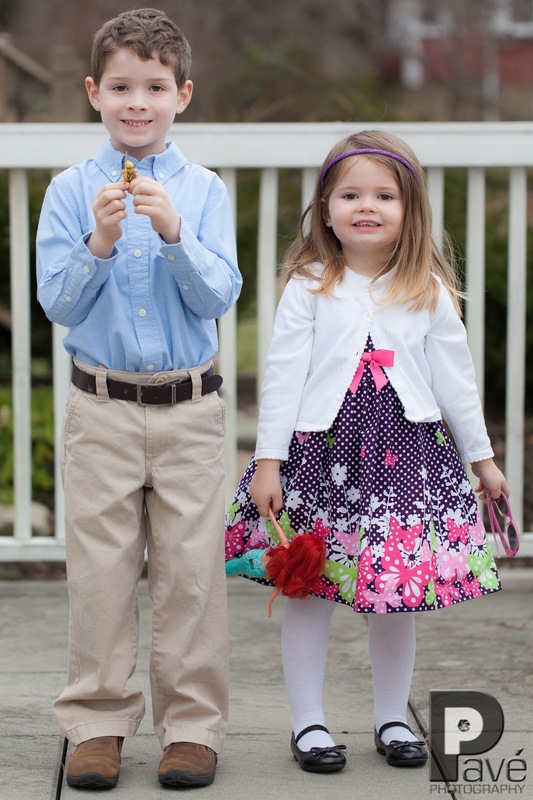 Anyway, I grabbed a few shots before church and they insisted on showing off some of their Easter Bunny presents. Happy Easter! On Sunday we decided to brave the chilly weather and take the kids down to Market Square to see the Zany Umbrella Circus. I learned that the circus was started in Pittsburgh and this year celebrates their 10th year performing. I was also surprised to learn that the circus has traveled the world entertaining people. That is some really cool stuff for something born here in the Burgh. 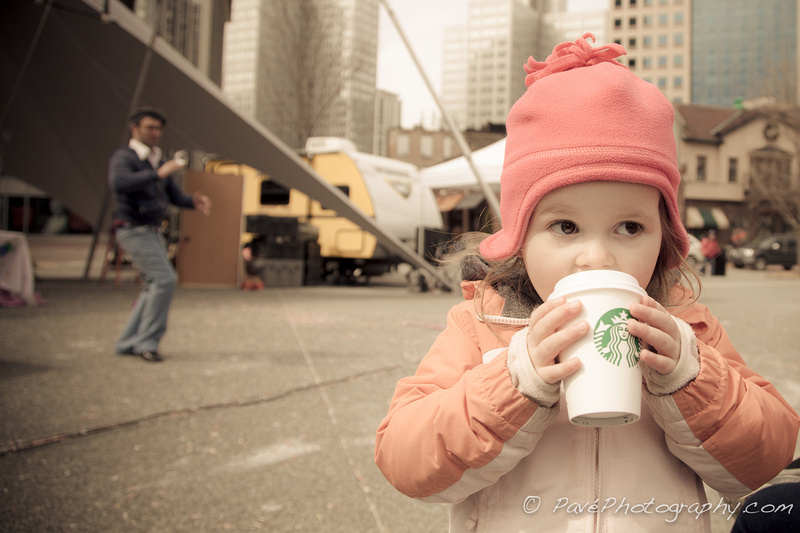 During the performance I was able to grab a photo of HDC enjoying her hot chocolate a little more than the circus. This was short lived as the music picked up tempo and caught her attention again. I would highly recommend checking into this event and other cultural events in the Pittsburgh area. There are so many events for kids and adults, many of them free to attend. Well today was the first full day of spring. 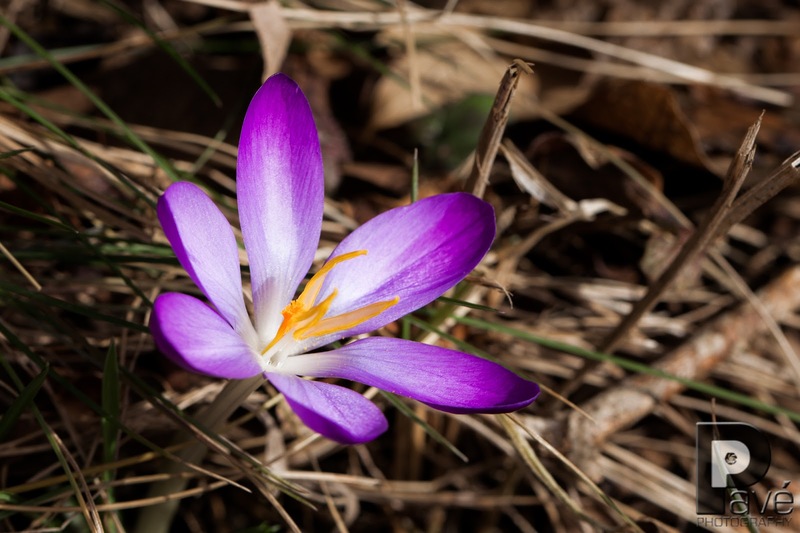 Most people think of warmer temperatures, spending time outside, and flowers in bloom. If you live in Pittsburgh or the surrounding area you are also bound to conjure images in your mind of construction barrels, road closures, and traffic. 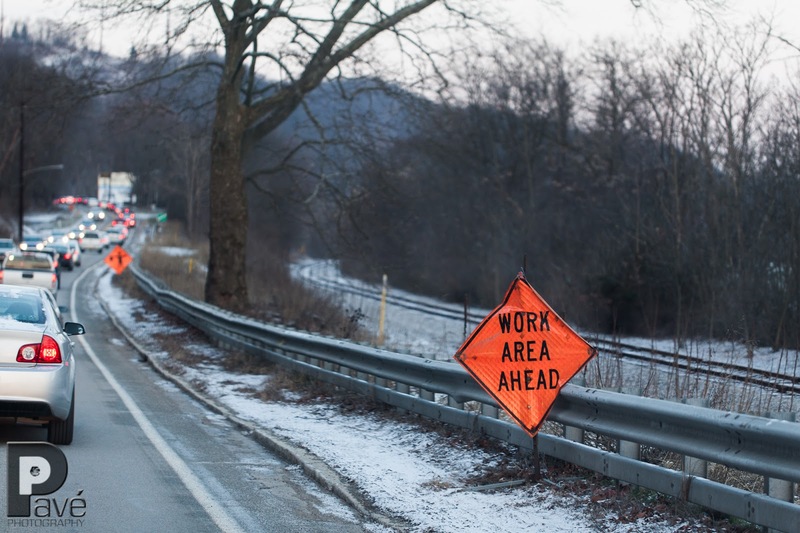 That is what inspired this shot, as it is the first full day of "Road Construction Season." The other night Sue and I were talking and for some reason the origin of our daughter's name came up. 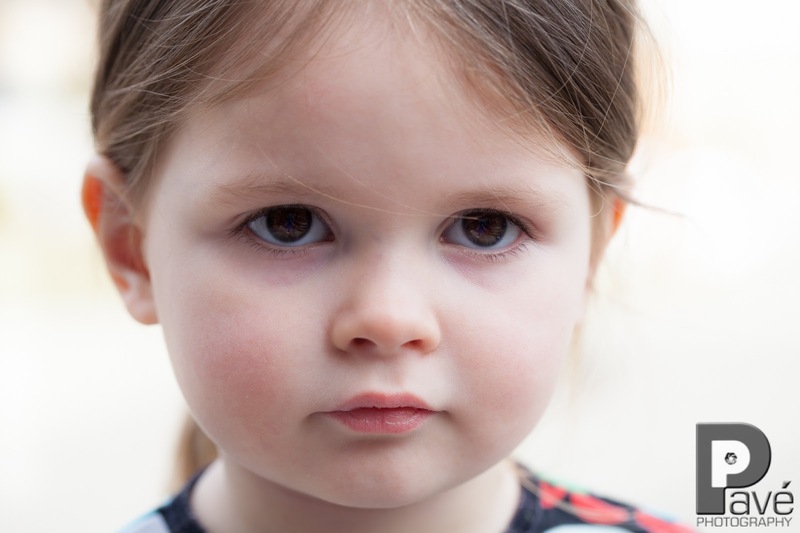 Her name is Harper, which in the past couple of years seems to be very popular with celebrities like David Beckham and Neil Patrick Harris. We picked the name for two reasons. First, we like it because it is very unique. Secondly, the name Harper is actually a family name and this is where I was surprised. I knew that Harper was a family name and could trace that to my grandmother and her mother my great-grandmother. I was curious after our conversation so I went and grabbed "The Book." The book I am referring to is a pale green book that was researched and published by a distant relative that maps a portion of my genealogy. It provides the details, including biographies of each member of the family. I knew all of this existed but never really thought much of it since the book has been around. I guess I just took it for granted. The book is called The Harpers of Virginia, West Virginia, and Mississippi and includes a nice fold out of the family tree. It was published in 1982 and unfortunately none of this information is in electronic form. Oh well, at least the information is all in one place. There are a couple surprises. As I started reading through the book it clearly outlines that I come from the "landed gentry and nobility of the British Isles." There are some knights and whatnot in there too. Pretty cool stuff right. The book then continues on and describes that I am a direct descendent of Captain John Harper. The name really meant nothing to me on the surface but with some quick googling, I discovered he is pretty well known and contributed quite a bit to the Alexandria, Virginia landscape during the 1700s. I think when the kids are a little older we will go check out the homes on Prince Street. All of this stems from my paternal grandmother. Harper's middle name is also a family name so I contacted my mom to see what I could dig up. Well, it turns out my uncle Barry has all of this all documented from his dad's side of the tree. It turns out that I am related (distant) to royalty. This was the second surprise. It turns out that this side hails from Yorkshire, England. The distant relative is King Edward VI, which is my 5th cousin 12 times removed. King Edward VI is the son of King Henry VIII and his wife Jane Seymore. Looks like I need to contact the queen to see when I can go visit. All of this was really cool to discover and I now love Harper's names more than ever. I upgraded my macro lens a couple weeks ago and I have been waiting for the weather to be warmer. The weather that we have enjoyed the last couple days has mother nature gearing up for spring. These little purple flowers are popping up all around our neighborhood. I also saw tulips and daffodils starting to make their way out of the ground. Now that we have entered into daylight saving time, I am super ready for the warmer weather like this weekend to be here on a consistent basis. The kids were able to be outside most of the day riding, running, and digging. Canon Pinch Lens Caps - Finally!!! 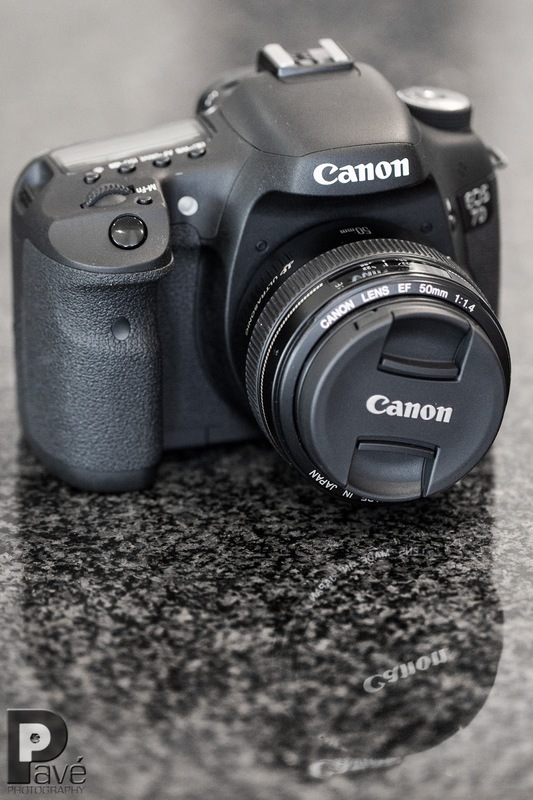 I shoot Canon. I have plenty of friends that shoot both Canon and Nikon. There are really only two things I wish was part of my Canon equipment. The first is that Canon bring their firmware up to the level of Nikon when it comes to bracketing. The second is I wish Canon would produce "pinch" lens caps. This seems like a small request and finally they must have listened. I heard several months ago that the pinch style lens caps would be available this spring. I pre-ordered a 58 and a 67 and they showed up today. These make such a big difference when you have a lens hood attached. I am still waiting for the 77s to become available, hopefully soon. I am hoping that this style cap becomes the default when you purchase a lens in the future. Now if only the firmware will be upgraded so you can bracket more than three photos at a time. One can hope.